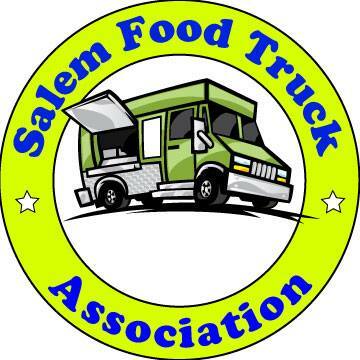 To read the latest info about the Bite of Salem click here! Bite of Salem delivers a good time for Salem residents despite a lack of restaurant choices. There are only twelve restaurants including Pizza Hut and Cold Stone Creamery at the riverfront event hosted by Salem Rotary. The Wooden Nickel Pub and Eatery serves up Ginger Chicken Yakisoba which might taste better after a couple of cold beers. Serving more traditional fair food, Mt Angel Sausage has great bratwurst with sauerkraut and onions. Their side of curly fries overflows the basket and is big enough for sharing. The Sassy Onion, Casey's and Adam's Rib also have booths with food cooking on the spot and ready to serve. The live entertainment is the best part. Music playing on a stage off to the side is not too loud for dinner conversation. Bands like "Those Darn Accordions" and "The Retrofits" keep the crowd entertained before carnival rides and a fireworks show. The Riverfront Park is the ideal location for events like this because of it's downtown location and river access. Parking is easy if you don't mind a bit of a walk and there are plenty of Salem Police officers around, making sure people stay in control. If you visit the carnival, expect to pay at least $3 a ride or buy an unlimited wristband for $20. The carnies are generous at the games handing out bigger prizes and offering second chances. With thousands of people enjoying themselves and eating this weekend, hopefully the Bite will get bigger next year. Ok, I just got back from a long camping trip, I read the article on "The Bite". I see what, I see where, but I don't see WHEN??? Don't worry it ended at 6p Sunday July 29, 2007. You missed it. How was camping? We seem to miss out on so many things happening in Salem, due to the timing of our camping trips. Not that I'd change our plans . . . I'm curious tho, so many food choices, but instead of samples - people order meals?? How do you get the benefit of all the variety? Inquiring stomachs want to know. After going to the Bite of Seattle, Salem's Bite was a real let down. There are so few options! Not that there weren't some good items to try but more restaurants need to get involved. Whoever organizes this even needs to get out there and bring in more vendors. Having never tried their products before, I ordered a scoop of vanilla with fudge. I know it doesn't sound very adventurous, but vanilla is kind of my litmus test. If it's good, I'll come back another day to sample the more exotic stuff. It was good, but I will not forsake Baskin Robins for them.